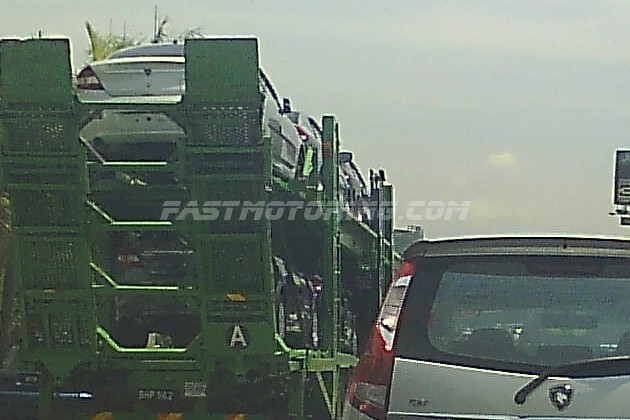 Proton Persona Facelift for 2010 is launching tomorrow (Thursday 18 March 2010).The spyshot of Proton Persona Facelift 2010 as claim here is taken today during noon when i was cruising on NKVE today. As you can see a new design of tail lamps has been fitted on the new persona facelift. 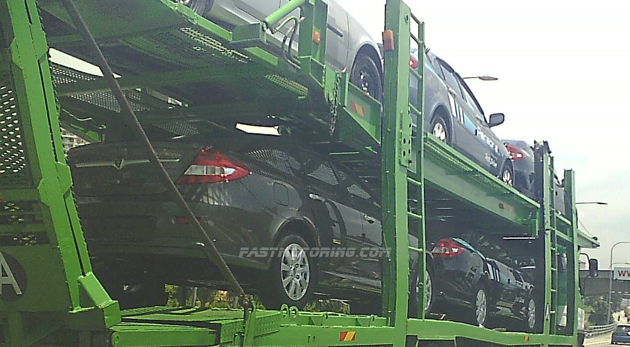 The new Proton Persona facelift in the trailer is fitted with bodykit. 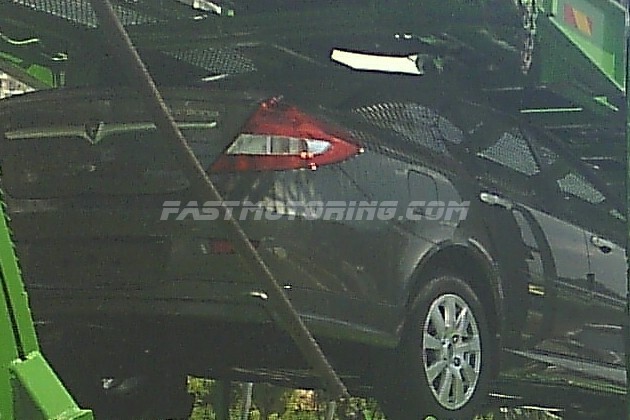 That’s with rear skirt,side skirt and bootlip as we can see here. 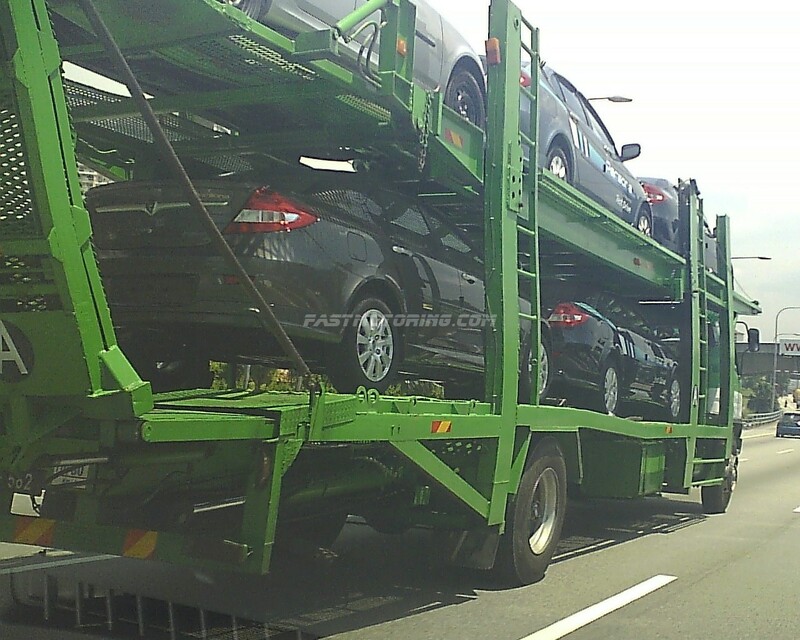 We did not manage to get the front shot of the car because it have been very dangerous.Notice that there’s also a show car for Proton persona with stickers on the top level of the trailer.Most of the Proton Showroom will have the car for display as for tomorrow morning.